View Dimensions to see properties used in the tutorial. Add a filter to a report and set its value. Add the property to the viewable report data. 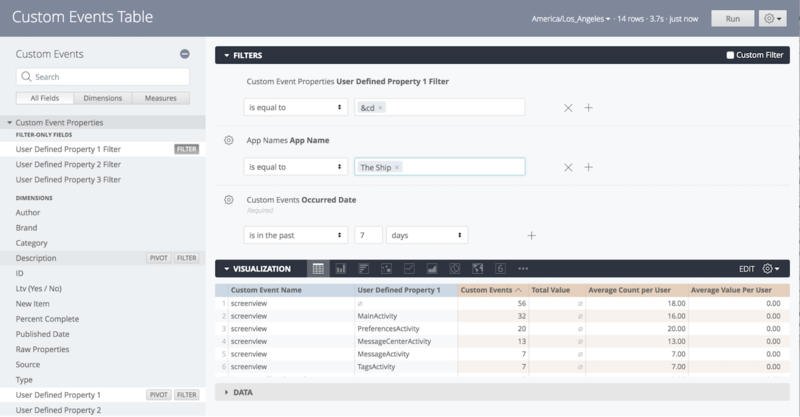 If you are using custom event properties, you can further break down report results by property. 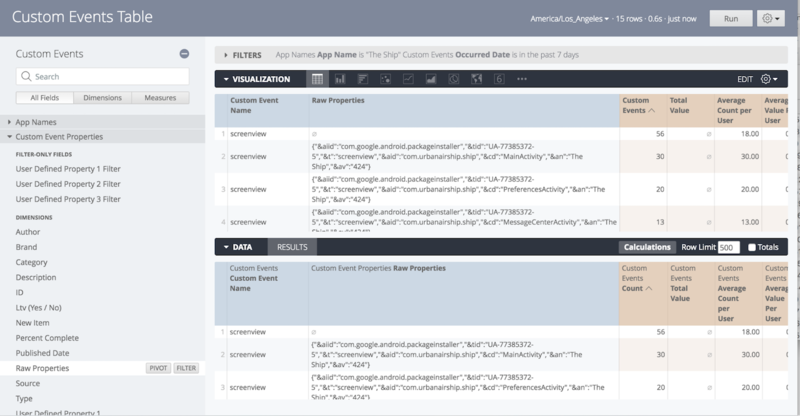 Our SDKs contain templates that make sending properties easier to manage and analyze. 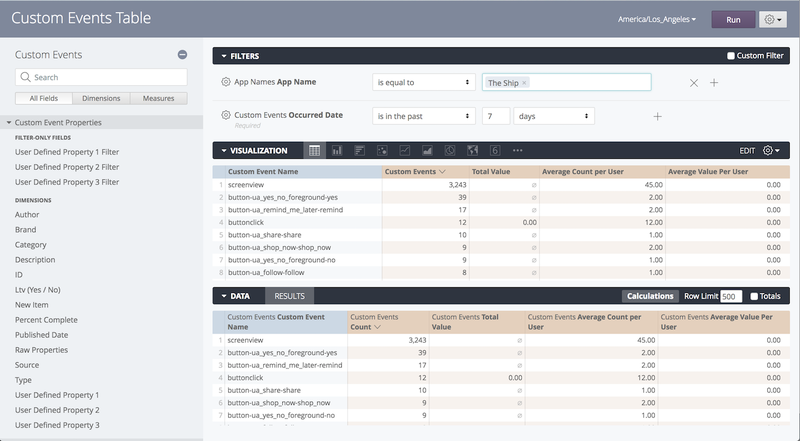 In the Custom Events Table report pane, click the ellipsis icon and select Explore From Here. Once you know the keys for the properties you would like to expand on, either select the templated name from the Custom Event Names in the Visualization or Data results, or set up a user-defined property. The remaining steps walk you through setting up a user-defined property. You may specify up to three total. In Custom Event Properties » Filter-Only Fields, click the Filter button for User-Defined Property 1 Filter. In Filters, set the User-Defined Property 1 Filter filter to "is equal to," and enter the key as the value. If you don't know which key was used to send a custom event property, select the Raw Properties dimension. Locate the Customer Event Property in the Data results, then copy its corresponding key from the Raw Properties column. In Custom Event Properties » Dimensions, click the row for User-Defined Property 1. This displays the actual value for the property that you specified in the User-Defined Property 1 filter, adding the column to the Data table.